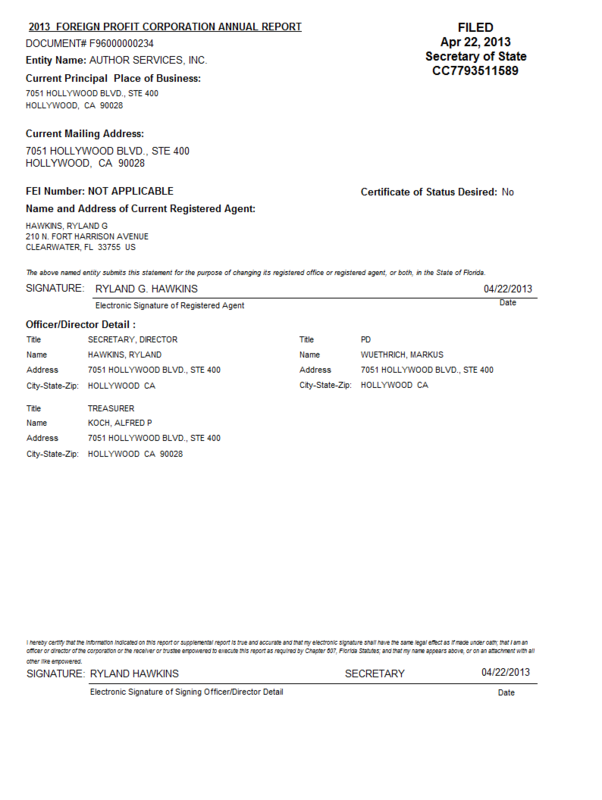 Curiously, Author Services Inc. of Hollywood, California is registered in Florida as a Foreign Profit Corporation. Mr. Ryland Hawkins seems to have edged out Mr. Norman Starkey for the coveted post of Secretary at ASI around 2004. There is nothing curious here. Basic Business 101 college textbook, within the first 3 chapters of introductory concepts, will include the standard definition that “foreign” merely means the organization was incorporated in another state. So any business entity that operates in multiple states has to register as a foreign corporation when they are outside their home state. 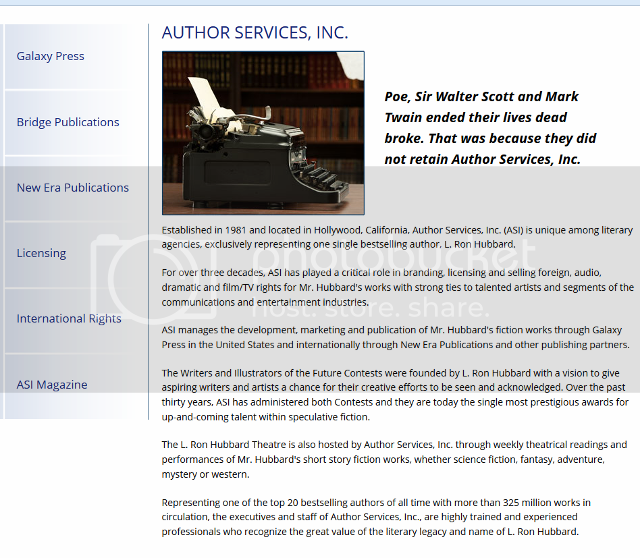 And Author Services is a California company, it’s to be expected that they would be registered this way in Florida. Al Koch Treasure – He was AOLA Tres Sec in 1977. My 1st job: “Go dig in staff drawers and find receipts”. What is OG VIII? Operating Genetic Entity VIII ? My recommendation is that you put down your wog business textbook and pick up the textbook we are using here: Masters Program, Scientology Cult Business 950: Introduction to Studies in Evasion and Deception. Florida Super-lawyer Ted Babbitt, whose cases include a class action lawsuit against the Citibank legal machine, is fighting tooth and nail on the diversity issue in the Garcia case because IAS, whose hub of activity is in Clearwater, is registered in an office in California. 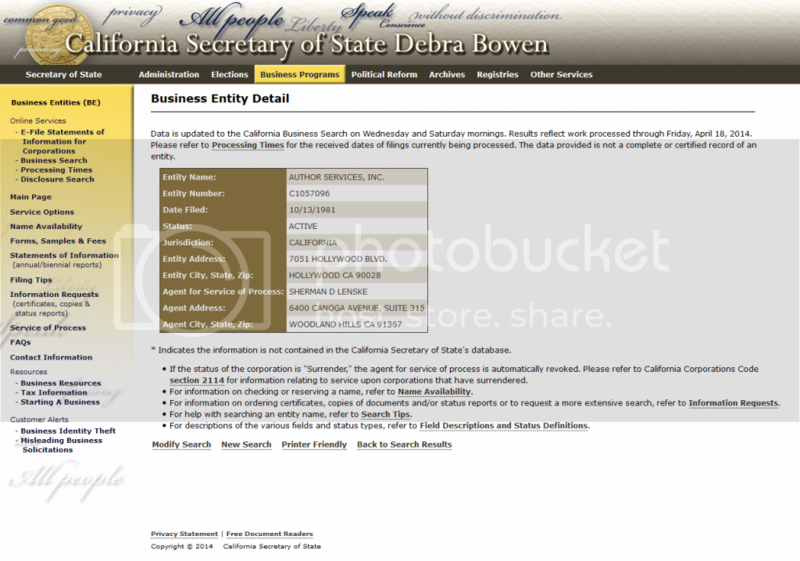 Moreover, the Church trusts named in the Garcia lawsuit have addresses in Florida but their trustees live in California and so they cannot be sued in Florida due to arcane Trust law. So the question arises: If a California resident wanted to sue ASI, in which jurisdiction would they need to file their lawsuit? I don’t think Norman Starkey has been at ASI for years! JSwift – can you contact me via my logon email address? I have early tax documents in which you might be interested.